On Sunday the progressive Apollo CT who celebrate their twentieth anniversary this year is promoting its ABC Sportive which is the culmination of their Sofa to Saddle programme. People in the Armagh, Banbridge, Craigavon area have been on a 10 week programme hosted by local cycling clubs, Apollo CT, Dromore CC, Banbridge CC and Portadown CC. There are three road races on this coming weekend and a number of leisure rides. Road Races include the Audi GP on Saturday and the Strabane Ligfford GP and Noel Teggart on Sunday. The Bangor Coastal Challenge for leisure riders is being promoted on Sunday by North Down. Apollo CT are also running a leisure event and details of this can be viewed in a separate story HERE. Full details of the other competitive and leisure events can be viewed below. There are three events now open for pre-entry. These are the Kinning Cycles Crighton’s Green Hill Climb, Phoenix CC's Crit in the Park and the Clann Eireann promoted Lurgan Crit. Details of these events and how to enter are listed below. Bann Wheelers Criterium, the Antrim Festival Criterium and the North Down Bangor Coastal Challenge are now open for pre-entry. Places in all of these events are likely to fill up fast so you would be advised to get your entry in early. 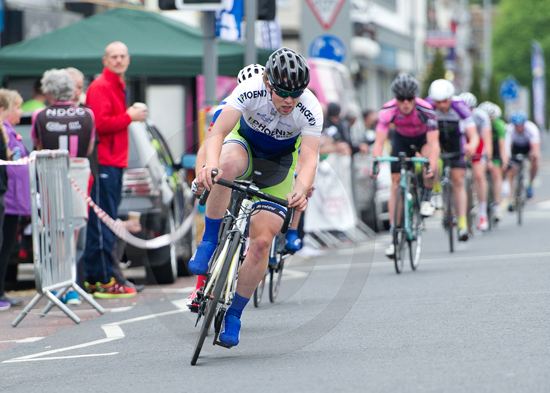 Last night Newry Wheelers promoted their annual crit around the streets of Newry City. The weather was perfect for the night and the good crowds enjoyed the high quality racing. 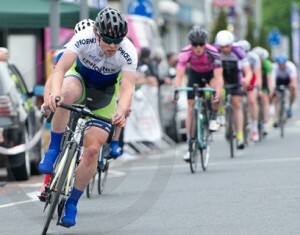 Newry wheelers ran a full programme of events and first of were the youth races with the under 12's first. Adam McGeever of AAA didnt waste anytime attacking out of the blocks and took a solo win ahead of Quillan Donnelly of Bikeworx with Maria McAllister in 3rd from Island wheelers. Dromara Cycling Club is hosting a series of races at the Bishopscourt Motorcycling Circuit near Downpatrick County Down on Saturday 4 June 2016. The location boasts a 2.1 mile circuit on 12 metre wide smooth tarmac. There are toilets and showers on site as well as ample parking. The circuit has its own website with plenty of photos.